Miss Ann Psychic - When you need to take an honest look. Contact Miss Ann Psychic now! Hi, I’m Miss Ann. I’m a reader and pagan. I offer readings using tarot and my pendulum, along with my intuition. If you’re looking to be lied to, or want a fairy tale, please look elsewhere. I’m not going to lie to you just because you want to hear it. While I do try to be gentle, sometimes the truth isn’t gentle. If you’re repeating patterns that keep giving you the same results, I can help you with that. To give you insight into yourself to help you break the patterns, instead of giving you false hope. I’m non-judgmental and I will do my best to set you on the right path. I’m LGBT friendly and also understanding of alternate lifestyles. 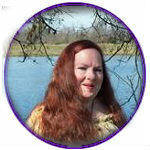 I’ve been a reader for over 30 years and I teach tarot classes. I have over 30 years of reading both online and in person. Location: Las Cruces, New Mexico, United States. Do you do parties? If so, what is your rate? And how much notice do we need to book you? Hi Crystal, how are you?